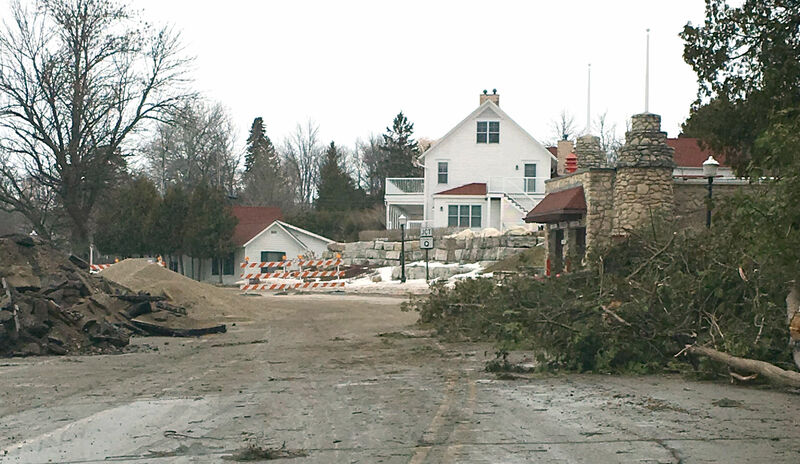 EPHRAIM — While Highway 42 through Ephraim is closed through May, the Door County Sheriff’s Office is warning drivers not to try and find ways around the detour. In a Facebook post Thursday, the sheriff’s office said they have received multiple reports that vehicles were violating the detour route and navigating through the construction zone. The sheriff also reminded motorists that in Wisconsin, it is illegal to use a cell phone in a work zone. The main road through downtown Ephraim is expected to be closed through May 24 while work progresses the the Village of Ephraim Streetscape Project. The project includes underground utility burial from our Wetland Preserve North to German Road, new decorative streetlights from Brookside Lane to Anderson Dock, and a reconstruction project of State Highway 42 from Village Beach north to the Firehouse Marina. The reconstruction portion of this project will result in a full closure and detour of Highway 42 from March 18, 2019 to May 24, 2019. 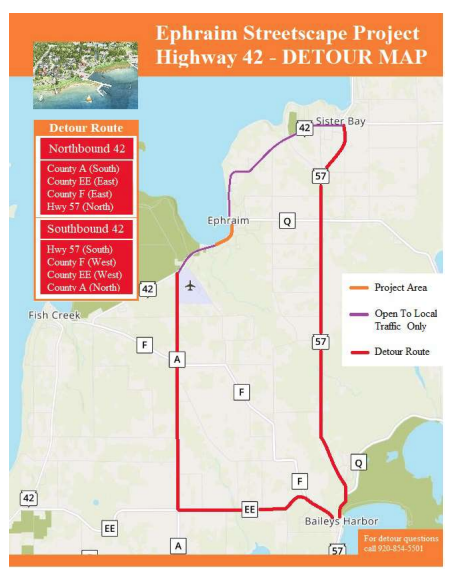 To accommodate summer tourist traffic the second phase of the project (May 25, 2019 to the end of June 2019) will see construction continue however Highway 42 will be reopened under flagging operations. More on the project is HERE.